First, let's take a look at everything you may need. It starts with the obvious bridal bouquet, and possible bouquets for the bridesmaids. The groom will need a boutonniere and the groomsmen may request them as well. Traditionally, women participating in the wedding will also wear corsages. And aside from wearable items, you'll need flowers for the ceremony location, centerpieces and reception tables. Be sure to review a gallery of their work before you schedule a time to meet. It's imperative that you find beauty within your budget. You'll need to present your ideal budget early and work with your florist to accomplish your goals within those restraints. It may also be wise to compare prices between 2-3 florists during your search. After all, wedding decor isn't just about the roses. Conversations can steer from flowers to linens, candles, and lighting before you know it. A great florist will allow you to completely explain your vision and work within your budget to make it a reality. Bring pictures of the bride's gown, bridesmaid's dresses and shots of the reception venue for inspiration. Your florist should make suggestions based on expertise regarding flower types and prices, but also let you have a final say. Finding a wedding florist may not always be the easiest process, but it will be worth it to find a great one. 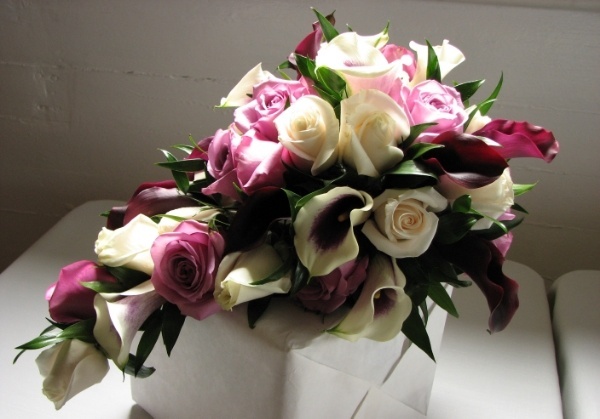 If you're planning a wedding in the metropolitan area, contact farmhouse flowers. Floral design provided by farmhouse flowers is done by hand in a small farmhouse studio in CT, which allows them to offer the highest quality flowers at a cost far lower than the competition.